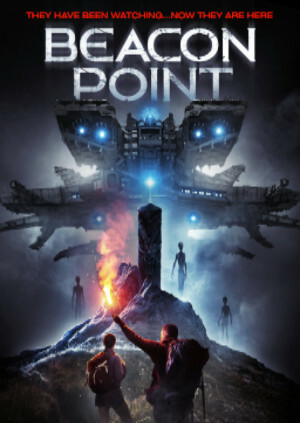 #BeenToTheMovies: New trailer for alien invasion thriller "Beacon Point" released! New trailer for alien invasion thriller "Beacon Point" released! Zoe has quit her job to hike the Appalachian Trail as a tribute to her deceased father. She joins a small group of inexperienced hikers for an adventure of a lifetime. The group is, Dan, recently divorced and looking for a change from Silicon Valley, Cheese, a 17 year old kid, and Brian, his half brother he has just met. They are led by Drake, a hot headed trail master with a questionable past. They are upbeat as they set out on the ten day trek through the Great Smokey Mountains. Drake leads them away from the main trail and the tourists, promising a grand adventure and sights they’d never see with the standard tour. After a gruesome discovery, they become lost deep in the mountains. The adventure spins out of control when they are terrorized at their campsite by an unseen force.